In a cave in Crete, archaeologists have discovered what is probably the earliest Greek art, dating back to the last Ice Age. The artwork found in Asphendou Cave is the earliest known Greek portrayal of extinct animals and is more than 11,000 years old. Speaking to the journal, Dr Thomas Strasser of Providence College (Rhode Island, USA) said: "This is the first palaeolithic art ever found in Greece and it’s significant because it deepens the history of art there by many thousands of years, and is like an eyewitness account of Ice Age Crete. Archaeological and palaeontological information, as well as new technologies unavailable to earlier scholars, offer evidence to confirm a palaeolithic date for the earliest carvings." Located in the mountainous Sphakia region of western Crete, Asphendou Cave has been known for its petroglyphs, described by Strasser as "a confusing jumble of engravings that had previously eluded dating". The confusion was caused because several layers of engraving were superimposed upon one another. Initially it was believed that the animal depictions were feral goats and possibly as late as the Bronze Age. 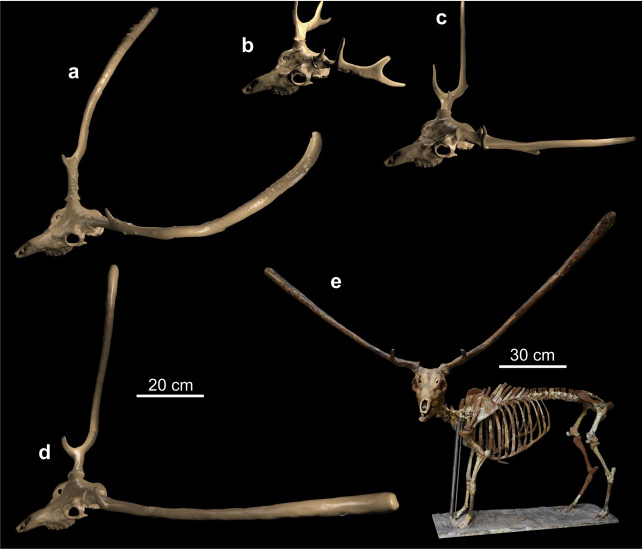 However, archaeologists exposed the oldest layers, now showing the recently identified Cretan Dwarf Deer (Candiacervus ropalophorus), which became extinct more than 11,000 years ago. With the use of photogrammetry, the depictions of the quadrupeds were recorded and then extracted. Then they were compared with those made from excavated Candiacervus remains. 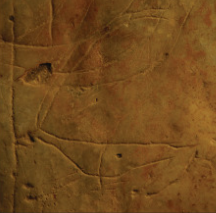 The 37 deer engravings identified are about 5 centimeters long and the engravings shallow. They represent "a palaeolithic animal herd without ground line or background," Strasser said. When fully grown the species stood about 40 centimeters at the shoulders, which makes it a textbook example of insular dwarfism, which also included the Cretan Dwarf Mammoth, the Cyprus Dwarf Elephant and the Tilos Dwarf Elephant. 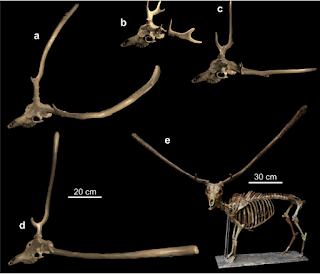 The Cretan Dwarf Deer had unusually long spatula-shaped antlers. Specimens found not far north of Asphendou in caves on the north coast of Crete are dated to between 21,500 and 11,000 years ago, which means that humans lived on Crete before the species went extinct. Strasser et al: Palaeolithic cave art from Crete, Greece in Journal of Archaeological Science - 2018. See here. Kolb et al: Growth in fossil and extant deer and implications for body size and life history evolution in BMC Evolutionary Biology - 2015. See here. Did dwarf elephants survive until the Bronze Age?